Shipping costs quoted are for standard mail only. If the goods are to be sent out of South Africa and you purchase more than 50 items, please be advised that courier is a safer option. To receive your goods via courier, please make a note in the comments / review field. You will receive a quote for a courier charge. If you accept the quote, an invoice with banking details will be issued. Once payment is received, your goods will be dispatched. Disclaimer: Whilst every care is taken with shipping. The Bead Coalition cannot be held responsible for damage or non-delivery of goods sent via standard mail. SKU: N/A. 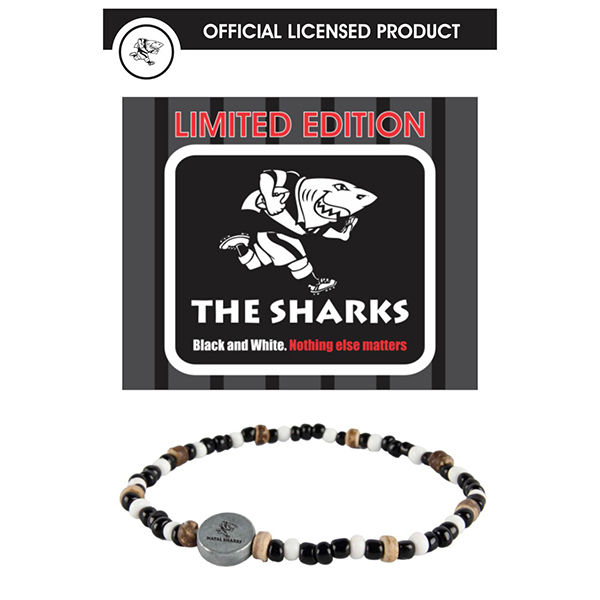 Category: Sharks Rugby. 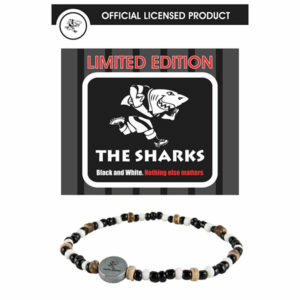 Official Shark Supporters licensed beaded bracelet with disc.